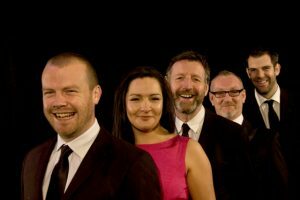 On Saturday, June 11, popular local group, Anything Goes will be joined on the Hawk’s Well stage by the Dublin Gospel Choir. This promises to be a concert not to be missed. BAND: Anything Goes will perform in the Hawk’s Well. When Ennio Morricone chose the Dublin Gospel Choir as his choir for his Irish dates in 2013, it set in motion a train of events that led to this unique collaboration. Anything Goes’ Sinead Conway was a member of the Dublin Gospel Choir for four years, and Eddie, Dave and Kieran all sang with the choir on those memorable concerts with Mr. Morricone and his orchestra. Probably the only act in the world to collaborate with artists as diverse as Stevie Wonder, Nitin Sawhney, John Legend, Riverdance, James Brown, Damien Rice, Rod Stewart, The Chieftains and most recently, renowned film composer Ennio Morricone, The Dublin Gospel Choir continues to amaze audiences all over Europe with a brilliantly adaptable repertoire of songs. Formed in 1995 as a junior school choir in inner city Dublin, they have grown to maintain and command a packed annual schedule, and are the only act to play on The Main Stage every single year at Electric Picnic Festival in Ireland. They officially launched two of Ireland’s largest arenas (Croke Park Stadium The Aviva Stadium) and they are the first gospel act to break into the Top 20 Irish Charts. A household name in Ireland, they are one of the most-often featured music acts on national television and radio, and aside from their success as a touring &amp; recording artist, they also support a huge amount of charity work, performing at countless fundraising concerts annually. Both outfits are incredibly versatile, share a love for clever arrangements of classic songs, and most of all believe in sharing joy through their music. Smiles guaranteed!